Birthday cupcake with candle question mark. 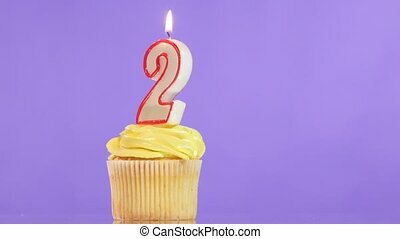 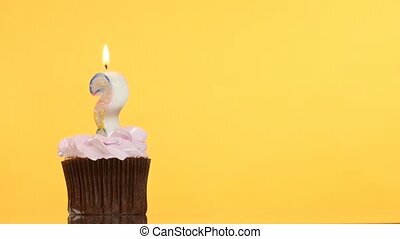 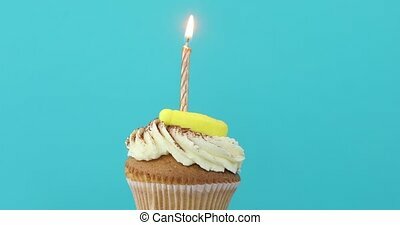 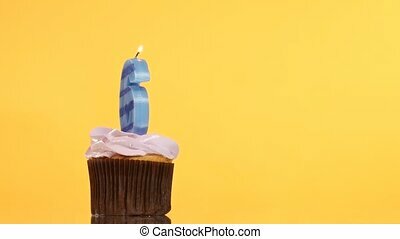 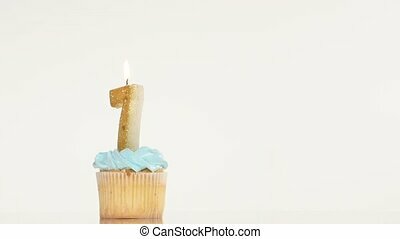 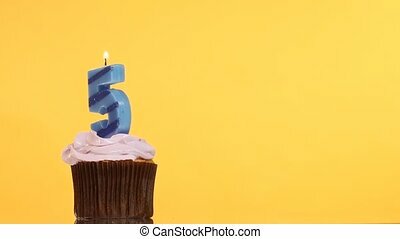 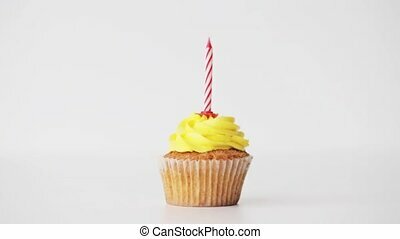 Birthday cupcake with candle question mark, on yellow background. 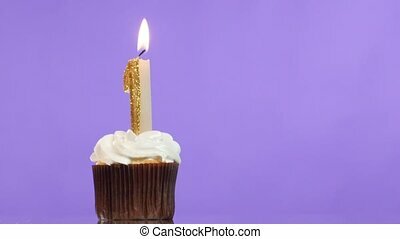 Birthday Cupcake With Candle Question Mark. 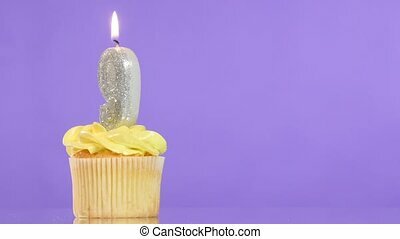 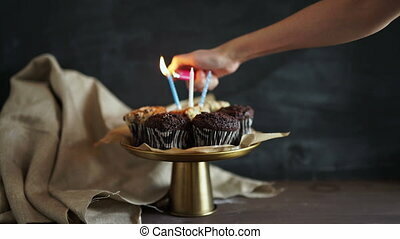 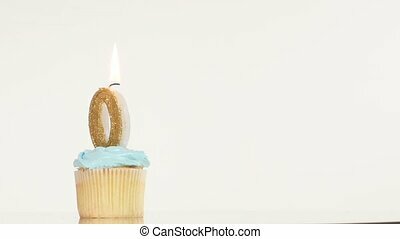 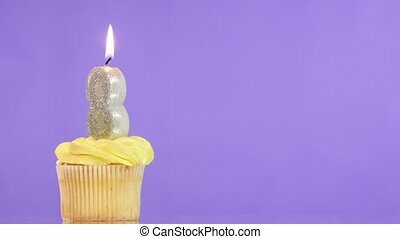 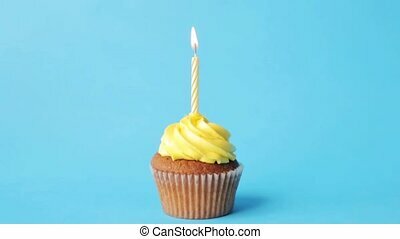 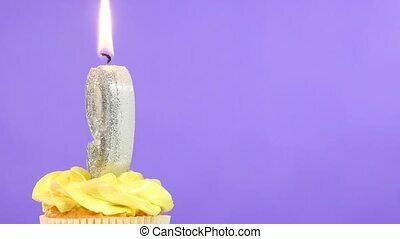 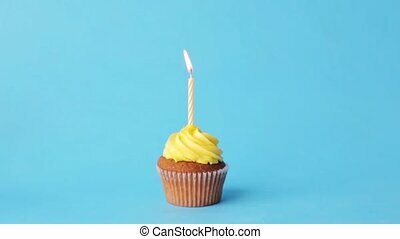 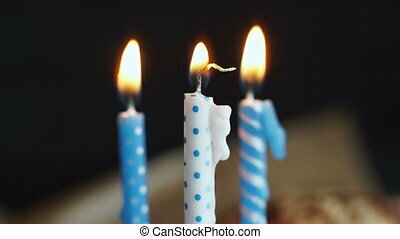 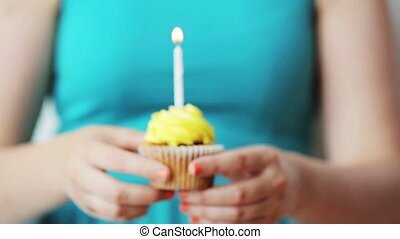 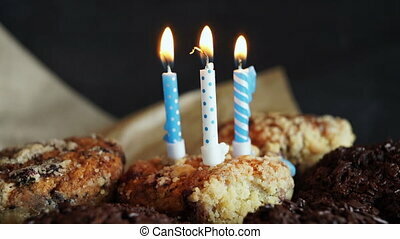 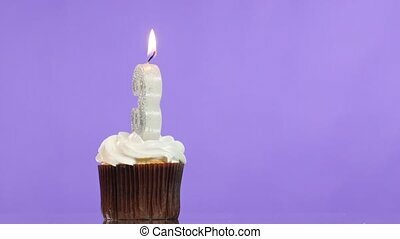 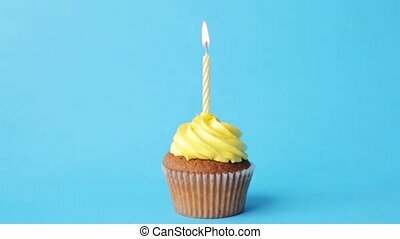 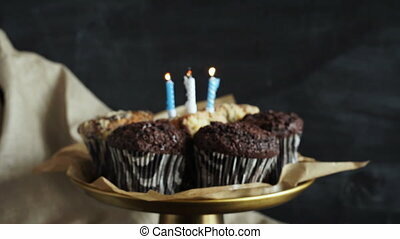 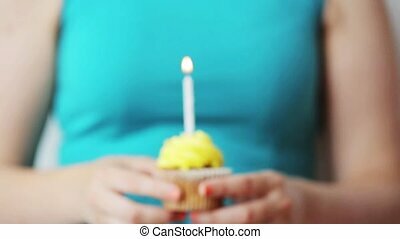 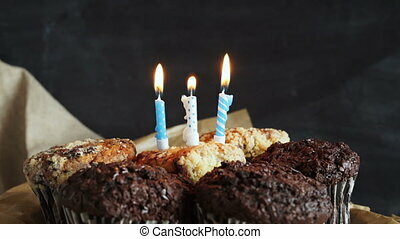 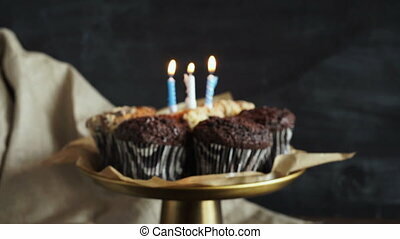 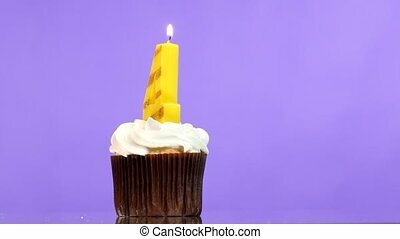 tasty birthday cupcake with candle, on grey background.